Nightwolf is a vehicular combat arena game set in retro-electronic cyber future of the 80’s. You play as Ricky O’Hara, an ex – cop framed for crime he didn’t commit. Now sentenced to death or glory, you have to fight through hordes of motorized killers on world’s most popular sports arena: THE MEGADOME. 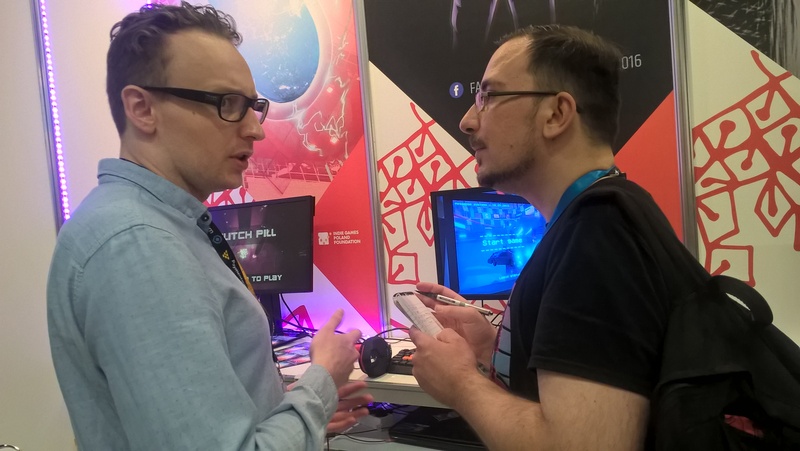 We had the pleasure of talking with Marcin Rzepisko from Polish developers CYBERPHO about the game. He told us that Nightwolf is a single player vehicular combat arena game where the way you play will influence your popularity with the audience. More kills and points means that the audience will like you more and drop more weapon pickups. If the player doesn’t do a good job, then the audience might decide that it will be best to spawn more enemies in your way. The game is inspired by Interstate ’97 and from the retrowave scene of today, with neon visual style that brings in mind the games Neon Drive and DESYNC, and with the appropriate darksynth soundtrack. The five person team from Poland has been working on the game since early 2017 and they are aiming for an Early Access release sometime in 2018. Unfortunately there won’t be any online multiplayer, other than the online leaderboards. You can find the team through their Facebook page or through their official website.